10 days left until the 6th Season of the Worldwide Comprehensive Review for NPTE, NPTAE and PCE! 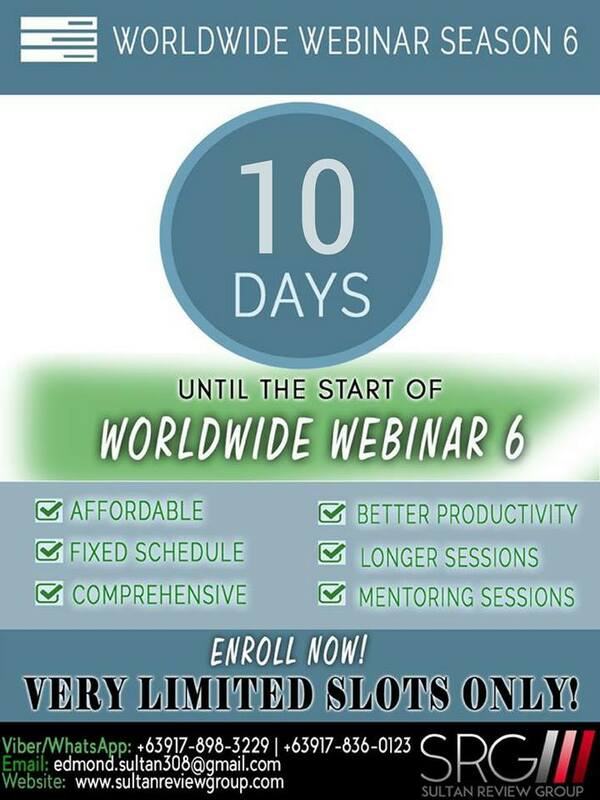 10 days left ’til the sixth season of the Worldwide Comprehensive Review for NPTE, NPTAE and PCE! The Webinar program that has produced numerous internationally-licensed PTs and PTAs! Hurry very limited slots left! Next Entry:9 days left ’til the sixth season of the Worldwide Comprehensive Review of NPTE, NPTAE and PCE!